Life is far from dull at South African nougat business! These are the words of Gilly Walters, founder of Walters Nougat. She clearly expresses the dream for any family business owner – the joy of working with your kids in a successful business, living in close proximity and sharing the passion and dreams. Sadly, as we all know this is not the case for all family businesses but I thought it useful to remind us all that the dream can become a reality and it is not always the case that a family that works together ends up at war. 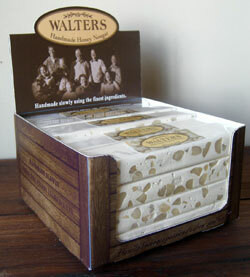 Read more about Walters Nougat and how the business grew from a plate of nougat at a concert to a real success story. This entry was posted in Latest News, Relationships, Spanning Generations, True Stories and tagged Family Business, Food and Drink. Bookmark the permalink. What makes the heart of your business tick?